Here’s a real world example of how affordable, and effective, promotional products can be… courtesy of an unlikely source, the 2010 U.S. Census. You probably haven’t heard much about the part promotional products, also known as advertising specialties, are playing in getting the message — the importance of being counted — out to the masses. 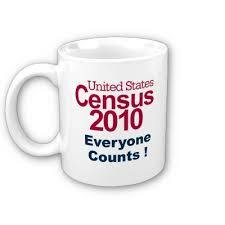 Reports have the census bureau sending $22.7 million on promotional items like mugs, t-shirts, hats, water bottles and pencils in order to get the message out. According to a census bureau official, more Americans appear to have sent in their forms right away, meaning that fewer census takers have to be paid to go door-to-door. This is where taxpayers (you and me) are expected to save an estimated $85 million. The census, undertaken once every ten years, is a survey mandated by the U.S. Constitution that provides a snapshot of the nation’s population and helps to determine the distribution of nearly $400 billion in government funds, not to mention the number of congressional seats and electoral votes a state is given. 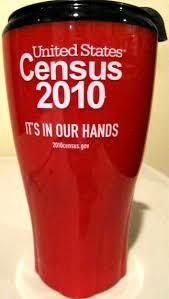 A whole lot hangs on the data the census collects. To date the Census Bureau has spent $140 million on advertising mainstays like TV, print and the internet, with a cost of about $1 per person. You may remember seeing some of the ads, clamoring for your attention amid all the others. Compare that to ad specialties that were given out at schools and county fairs, with an average cost per impression of $0.004 according to an exclusive ASI survey, and you can see why these items are considered to be such an affordable way to get the word out. Of course… who doesn’t enjoy getting something… even if it’s from the U.S. government, and especially if it’s useful. According to the ASI survey, such products bring back the name of the giver for many people, and make it more likely they’ll do business with them in the future. Beyond the handy giveaways, any census workers you do see will be wearing embroidered polo shirts to help identify them at the door. Affordability is one thing, but there’s the bigger question — how’s it working? Amazingly well. In fact, the response rate to the 2010 census is at an all time high — 72% of households have returned their forms according to Timothy M. Andrews, president of ASI, compared to just 67% in 2000.